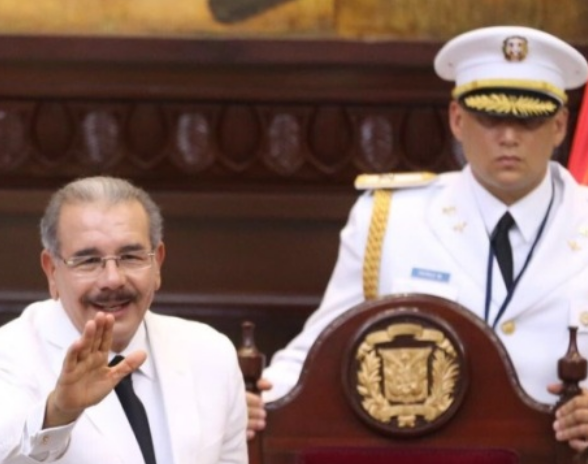 Today marks the start of a new era in the Dominican Republic, one that many political commentators say will be defined by the "family dictatorship" of President Danilo Medina, whose sister will now head the country's House of Representatives. In the Senate, Reinaldo Pared Perez -- who was tapped to succeed Mr. Medina even before today's presidential inauguration -- will loyally help the president maintain an iron grip over the young "democracy." The level of control which Mr. Medina will enjoy over the Dominican Republic is so extensive that the entire opposition decided to boycott his inauguration, primarily over allegations that he used state funds to finance his political re-election campaign. And now those members of the opposition are alleging that Mr. Medina has given himself too much power, and that underpaying the country's police forces during his previous term has precipitated a crime wave which will now provide the necessary excuse to deploy night-vision drones throughout the country and install fingerprinting checkpoints in order to fully track the population of the island. Under the guise of protecting female rights, Mr. Medina plans to develop a "panic button" system which will activate these drones. It is not yet clear whether the government will develop a phone app or distribute actual devices with a panic button. The government's latest program will also oversee the installation of countless more CCTV cameras, which will be integrated into a unified national grid. After just a few years of manufactured chaos, Mr. Medina has given himself more power than any Dominican leader since dictator Rafael Trujillo, and with every single high-profile crime that takes place on the island, the people increasingly clamor for martial law and the creation of a police state where the rule of law predominates. The Dominican Republic has not made significant efforts to eliminate its legacy of worshiping the family of a strongman, with many people still regularly calling for the return of the Trujillos, a family which ruled the country for three decades. This failure to eliminate Trujillismo will now manifest in real time, starting today, with Mr. Medina's family and his associates assured control of the Dominican Republic for the foreseeable future.